Martin & Co are delighted to offer for sale this spacious one bedroom duplex apartment situated in the popular Railstore development. 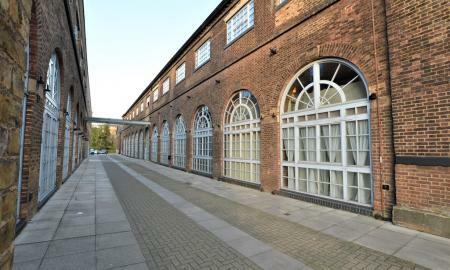 This stunning grade ll listed property offers many benefits to include feature windows and exposed brick work, gas central heating, approximately 110 years remaining on the lease, within walking distance to Gidea Park Train Station (Crossrail), close to all local amenities, ideal first time or investment purchase. Viewings are highly recommended, to save disappointment call our office now to arrange appointment to view this rarely available property.